Throughout time, the coffee shop has served as a gathering place for communities, serving as a catalyst for ideas, social change, friendship & love. As a contributor to our Orlando community, we choose to honor this tradition — incorporating an out of the ordinary, quality-focused, & a creative approach to making drinks. Our number one objective in this mission is to assemble and sustain a Team comprising of remarkable and talented individuals who are dedicated to creating remarkable experiences. 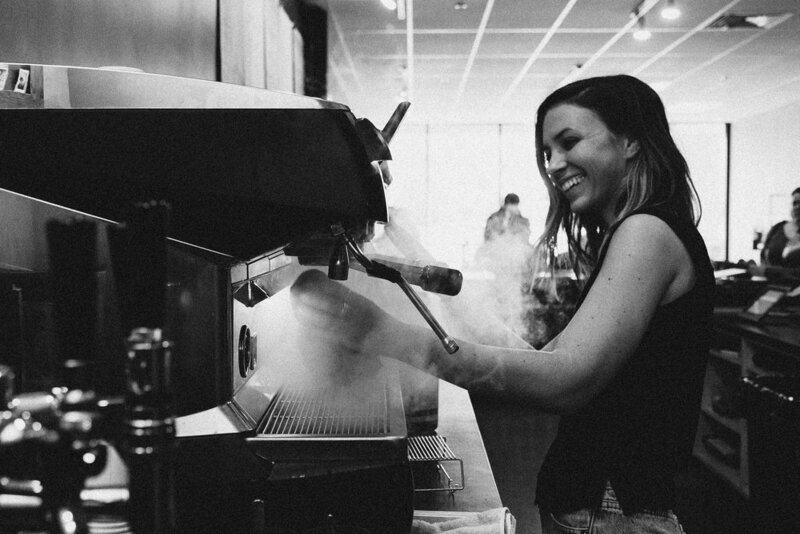 The ideal barista is someone who’s self disciplined & truly committed in working with quality products, but most importantly, providing guests with great hospitality. Previous experience not necessary, but preferred. What matters most to us is who you are—a strong sense of self & a high standard of excellence. The tangible things can be taught. Providing impeccable hospitality at all times. Crafting and serving beverages along with occasional food preparation. Working efficiently alongside other Vespr Team members. Maintaining consistent store organization and a high standard of cleanliness. Handling money and operating a POS system. Constant pursuit of of knowledge & improvement. Genuine dedication to serving & understanding people, with a drive to provide great experiences. Ability to be compassionate & patient with our Guests. Ability to work in a fast-moving & high-energy environment. High personal standards of excellence & cleanliness. Flexible availability and consistent punctuality. Part time weekday availability with flexibility of weekend days, 12+ hours. Must be able to provide a minimum of 1 year to the role.